One of the few posts on outfits. 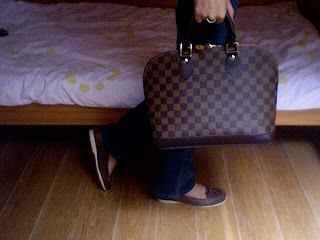 Nothing special, just my favourite shoes and my favourite bag. P.s. I'm sorry for the terrible background and composition of the picture: I should really ask a friend to take pictures of me outside when I want to write about my 'clothing attitude'.